Working in the food industry, we see a heartbreaking amount of single use plastic hitting our bins and the effect it’s having on our environment can no longer be ignored. We felt it was time to make a stand against plastic. 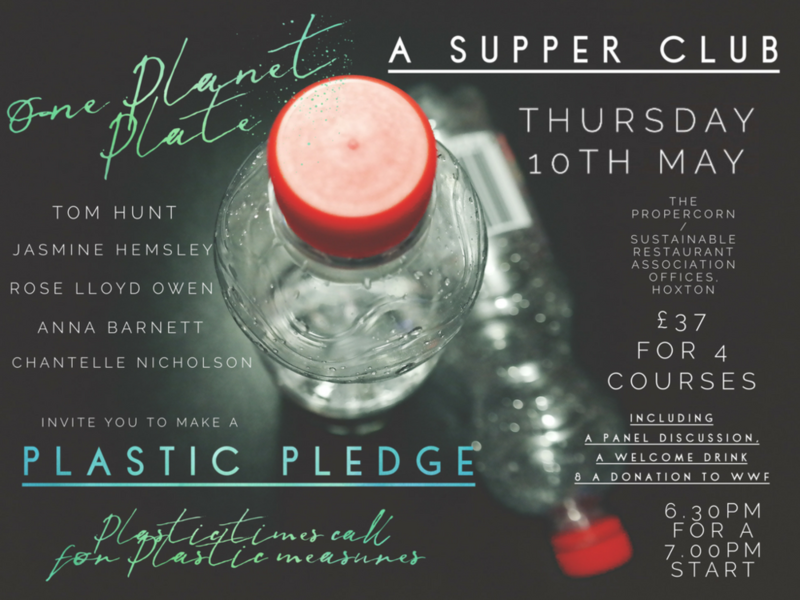 By using the power of good food, interesting company and a healthy discussion, we held our Plastic Pledge supper club where we invited participants to make: a pledge to CUT OUT those water bottles / plastic bags / straws / coffee cups for a week, a month or a lifetime! Held at the beautiful Propercorn Offices, we opened the evening with a welcome drink and a panel discussion about plastic, sustainability, the food system & how we can all play a part in protecting our planet. Eco Chef & founder of Poco Tom Hunt, Chris Baker from Keep Cup, Gareth Redmond-King from WWF, Marine Biologist Rosie Williams and Andy from Boomerang Resources took to the floor during which we served an amuse bouche by Tom. Four other courses followed from Jasmine Hemsley, author of East by West, Anna Barnett, cook and food & travel writer, Rose Lloyd Owen, our founder and Chantelle Nicholson, chef patron of Marcus Wareing’s Tredwells. 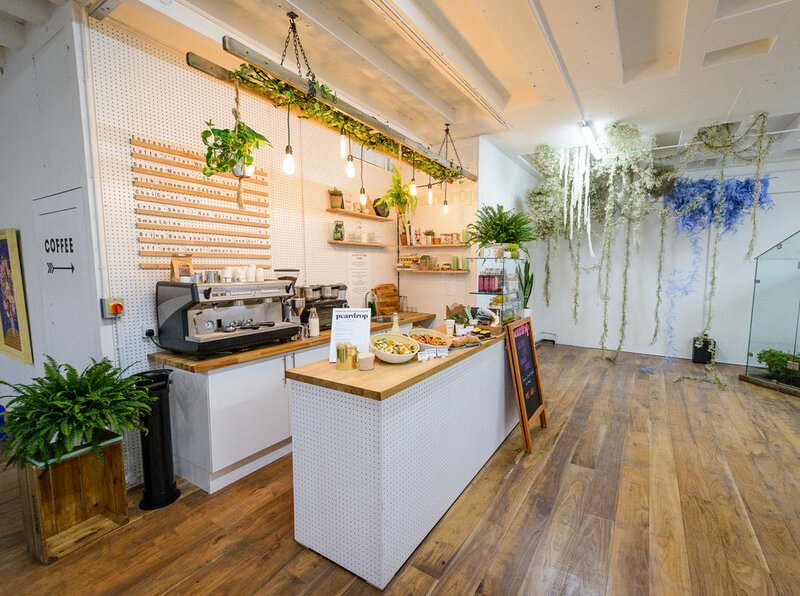 We were delighted to be London's First Plastic Free Café! For the month of December, we took over 13 Floral Street in Covent Garden. We loved running our plastic free pop up in December, and thank you to all of those who came to visit us! We already run a Zero-Food-Waste kitchen, but it just didn't feel like enough. Therefore, we are proud to say that at 13 Floral Street we were completely PLASTIC FREE. Without cling film or Tupperware, we had a real challenge on our hands but convenience is no longer a reason to use. At Peardrop, we believe that human consumption of plastic has got massively out of control. It raises demand for oil, kills our wildlife and overwhelms our planet. Our commitment to the planet is more important than improving our bottom line. Did you know that every single piece of plastic ever made still exists on earth somewhere? And only 10% of recyclable plastic is actually recycled. By making small changes to our mindset, it’s easy to cut down on our plastic usage.